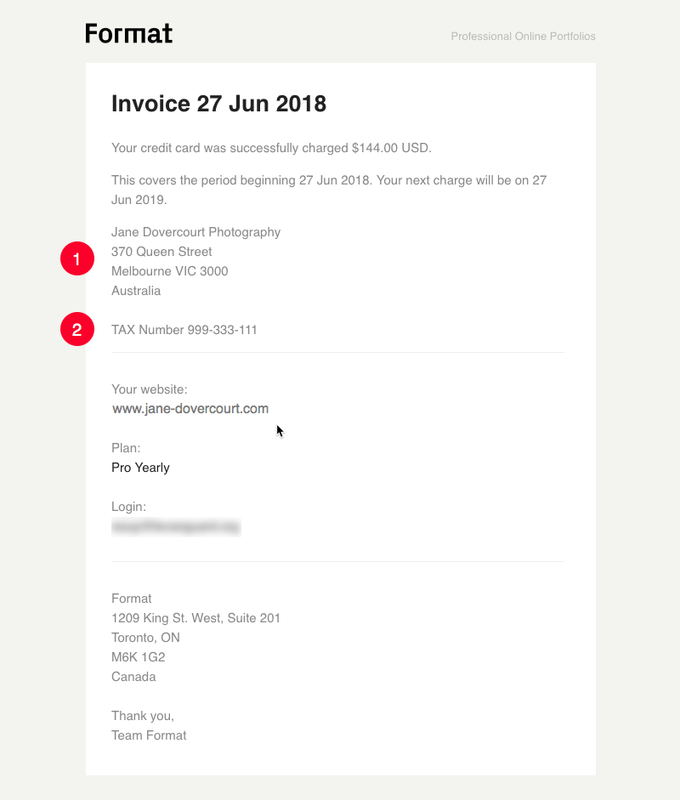 'Additional Information' any text you add in this field will appear on your receipt. For example, your Company/Business name, address and/or tax number. 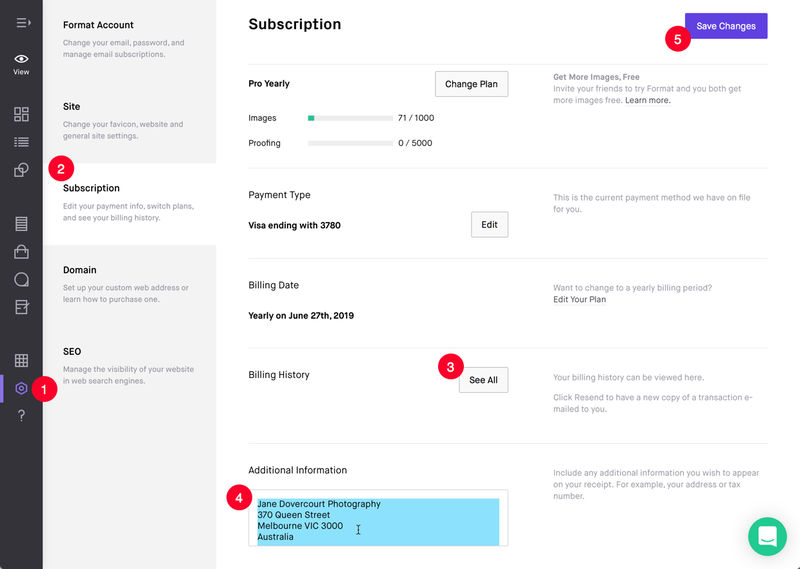 View the subscription transactions and use 'Resend' button for email receipt. The receipt will be emailed to your Format Account login email address.